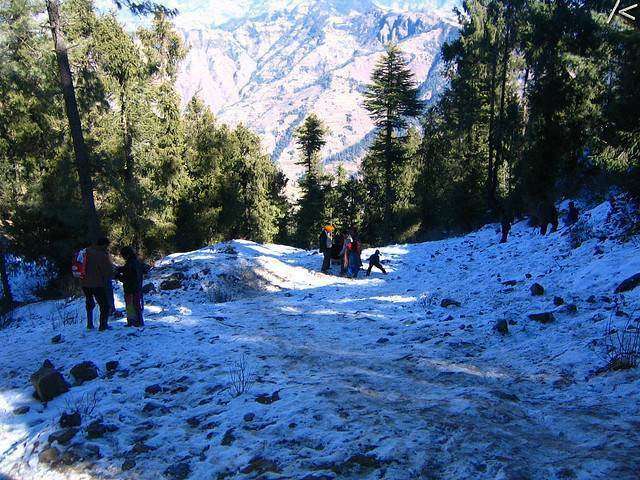 Fagu located 20 km from Shimla is an untouched beauty personified. This place is perfect destination to simply unwind and to connect to the tranquility of the verdant valleys and silent villages. Located at an height of 2450 meters this place is generally engulfed in clouds thus got its name Fagu which means Fog. Hatu top at Fagu gives a splendor view of the scenery around. Hotel Peach Blossom run by HP Tourism is a good option for accommodation here. Kufri is just 6 KMs from Fagu.